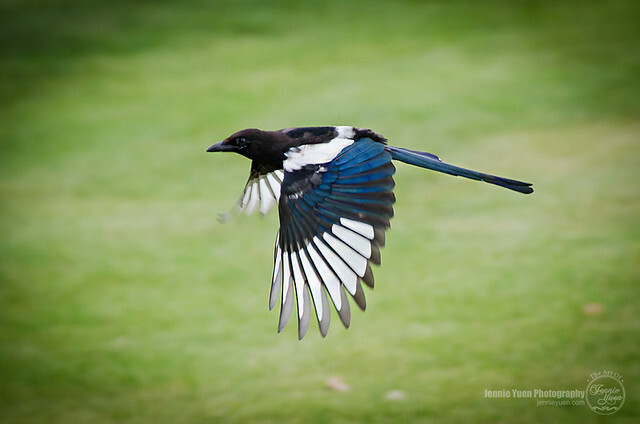 I was able to get a nice shot of a Magpie in flight. I've always thought Magpies are all black, but that's not the case. They are closely related to the crow family though. See more animal and wildlife photos in my Facebook Gallery.